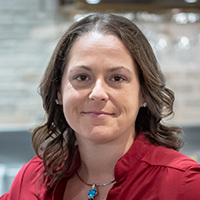 Carissa De Santis is the director of restaurant solutions for TGI FRIDAYS with oversight for all of the Restaurant Technology platforms. Ms. De Santis has 20 years’ experience in the restaurant industry in both operations and leadership roles. Ms. De Santis received a B.S. degree in hospitality management from the University of Central Florida’s Rosen School of Hospitality Management, and a Project Management Professional (PMP) certification from the Project Management Institute.